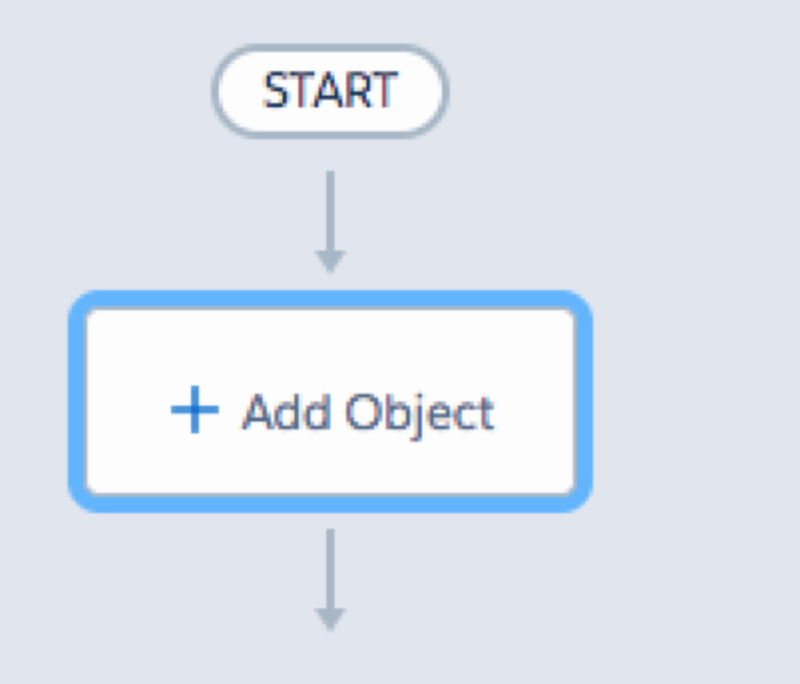 Working with data is always fun, especially when it comes to ownership. 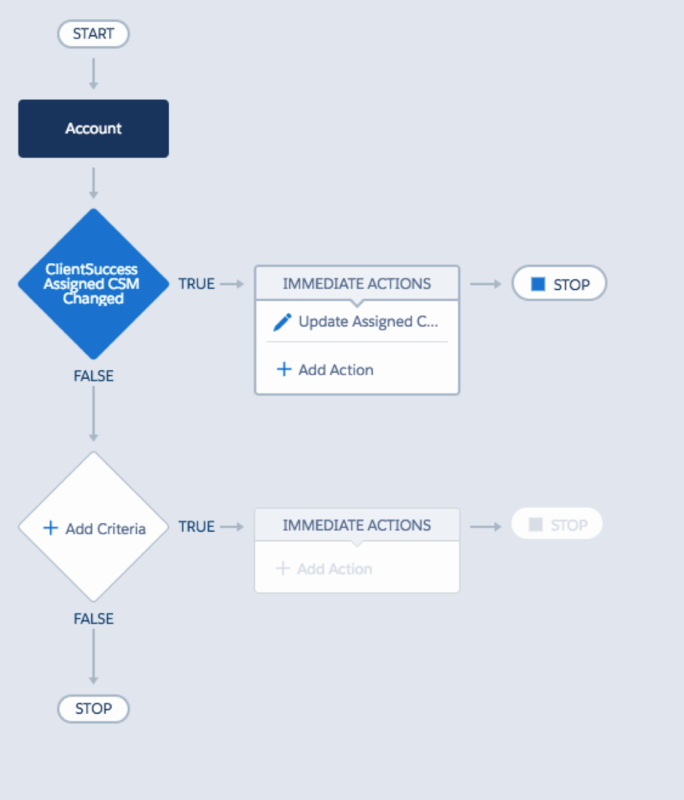 As part of the Salesforce Integration, it's possible to map certain fields from SFDC to ClientSuccess in order avoid dual entry and save time. 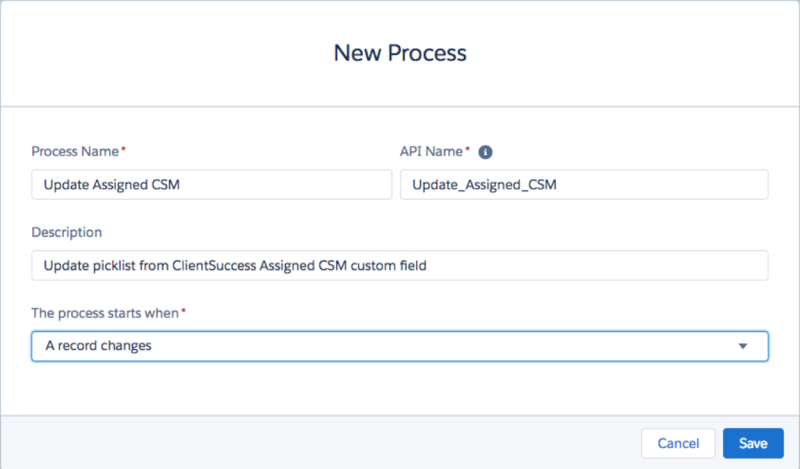 One of these fields is for the ClientSuccess Assigned CSM. 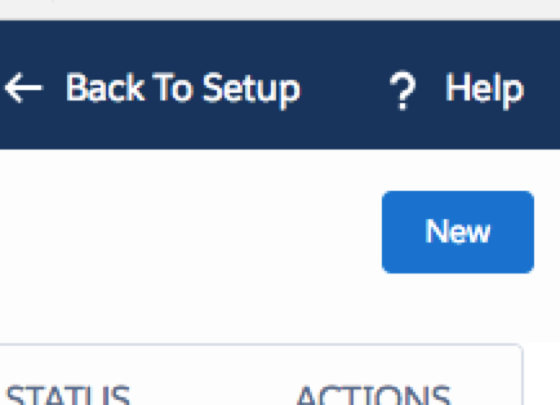 Mapping from SFDC to ClientSuccess enables you to pick a field you want to grab the information from SFDC and push it to ClientSuccess. 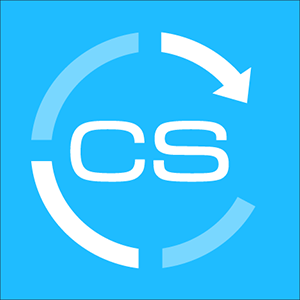 Moving forward, ClientSuccess owns that piece of information in its own, separate ClientSuccess Assigned CSM field. 6. 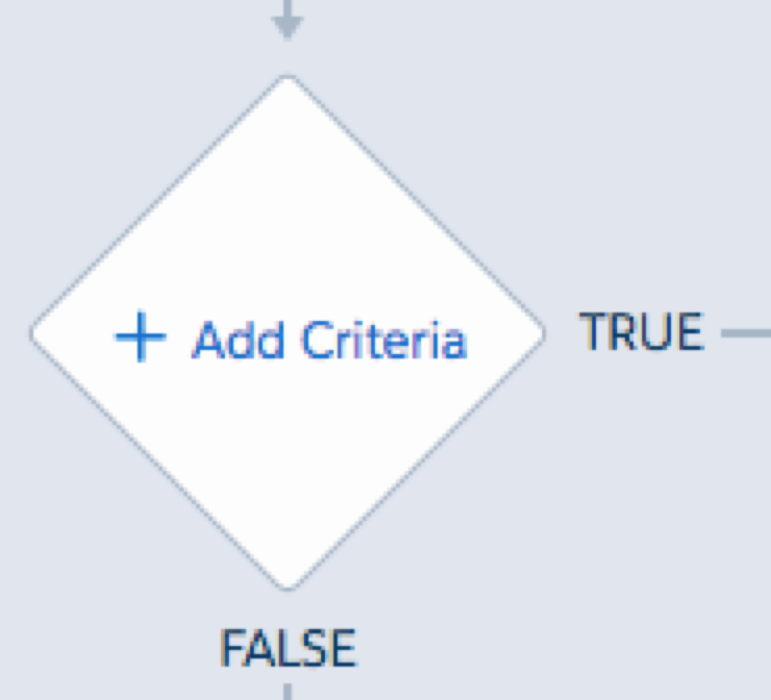 Define a filter criteria so that only certain changes will trigger the process. 7. 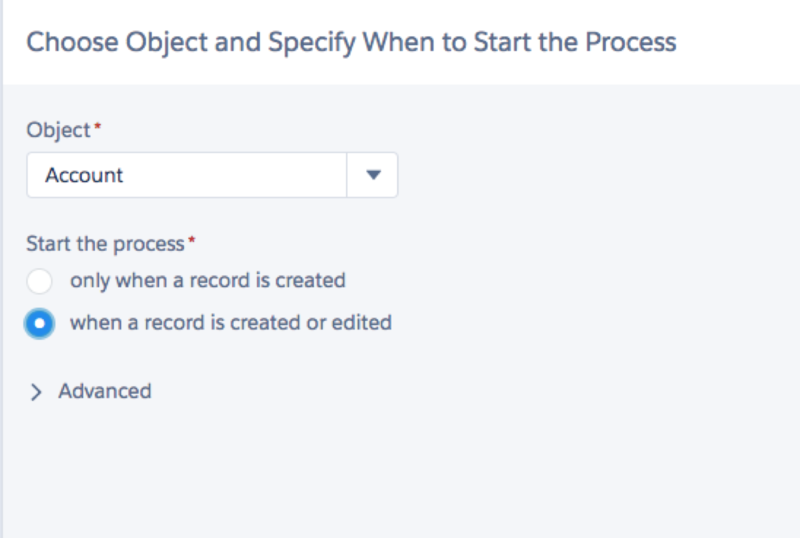 We only want to update the picklist when the ClientSuccess_Assigned_CSM__cfield is changed and is not null. 8. 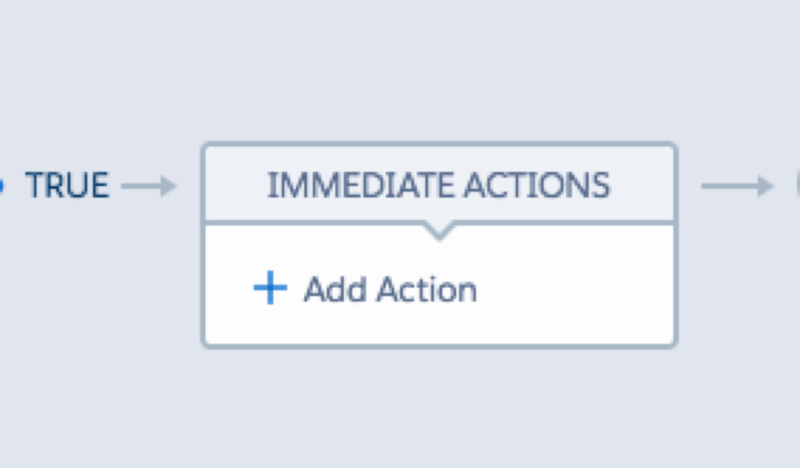 Next, specify the action that should be performed when the field changes. 9. 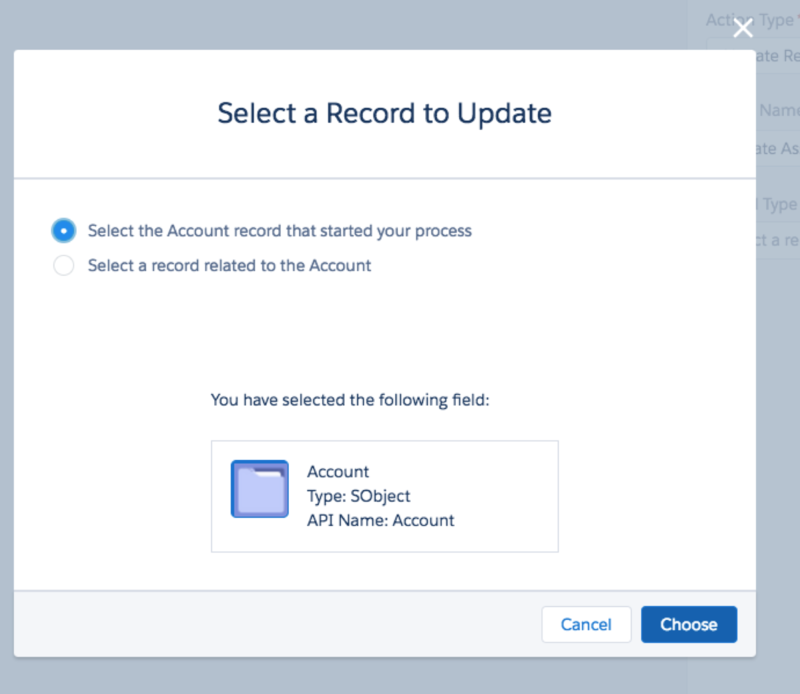 Choose to update a record, and then select the Account that started the process. 10. 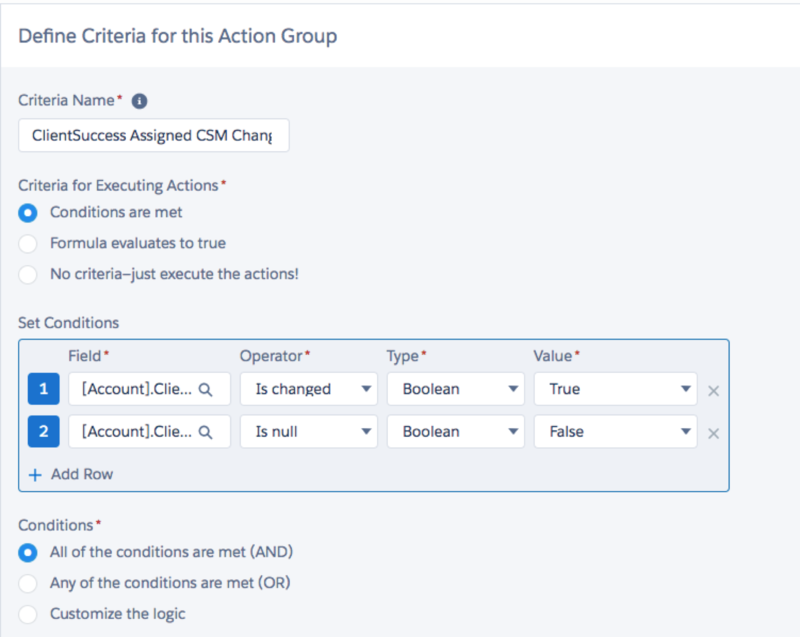 The action will need to update the Assigned CSM (whatever the SFDC field is named) picklist. 11. 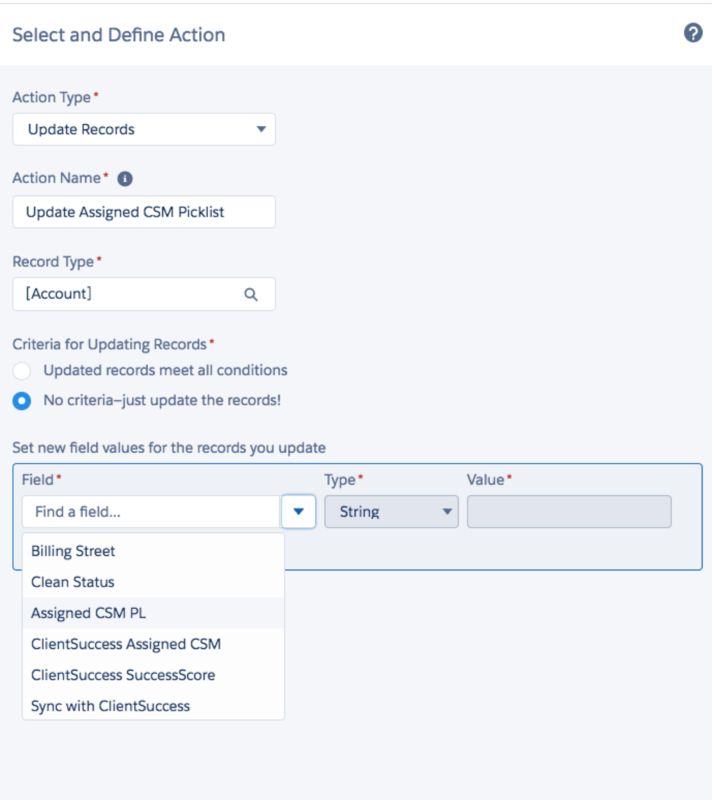 Set the Assigned CSM (whatever the SFDC field is named) picklist field to be equal to the ClientSuccess_Assigned_CSM__c field by selecting the formula type and selecting the ClientSuccess_Assigned_CSM__field in the value column. 13. 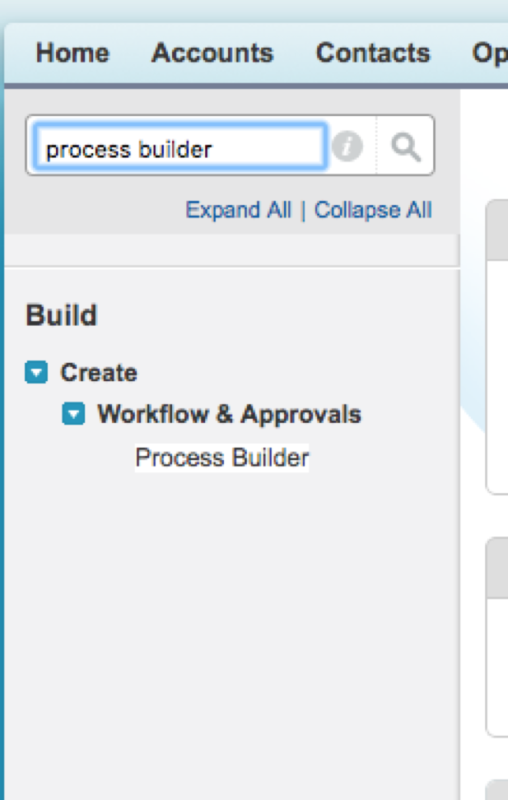 Now that the process builder is complete, click activate to enable the process.